Steven Spielberg brings Ernest Cline’s award-winning novel Ready Player One to the big screen. Any time a director tries to translate a New York Bestseller to film, they face an uphill battle. Fans of the book are looking for a faithful book to movie translation. Moviegoers are looking for a great story. Most of the time, neither group is satisfied. Having never read Ready Player One, I don’t know how faithful the movie adaptation is to the book. What I do know is that Ready Player One is a darn good movie. Visually, story-wise, and experientially. Moviegoers looking for a fantastic movie will not be disappointed. Ready Player One is the #1 New York Times bestselling book by Ernest Cline. Released in 2012, Ready Player One tells the story of teenager Wade Watts. Wade loves to play a virtual reality game known as OASIS (Ontologically Anthropocentric Sensory Immersive Simulation). Filled with pop culture references, the book was a smash hit. Now Ready Player One is a major motion picture directed by famed director Steven Spielberg. Wade is still the central character in the movie edition of Ready Player One. He still plays OASIS and lives in a virtual world. After the death of OASIS co-creator James Halliday (Mark Rylance) dies, a video message is transmitted to the world. Halliday had hidden an Easter Egg in OASIS. 3 keys in the virtual world of OASIS. The first person to find all 3 keys will be rewarded handsomely. The winner would receive Halliday’s fortune and control of OASIS. Ready Player One takes you on this thrilling journey as you watch Wade Watts (Tye Sheridan) try to uncover the 3 keys and win the game. As Ready Player One begins, you hear the beat of a positive, upbeat song (Van Halen’s Jump). The camera pans over Columbus, Ohio in the year 2045. While the new look of Columbus could bring sadness to many (but not to this Michigan fan *wink, wink*), the positive feelings invoked by the song makes up for any sadness one may feel for the new look of the city. 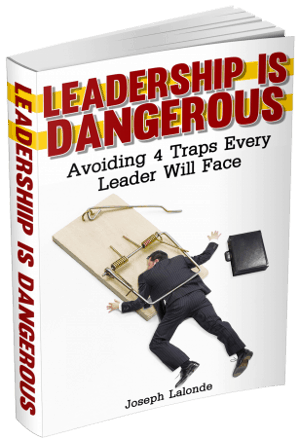 When leading, things aren’t always going to go smoothly. Trials and tribulations will come your way. How you respond and how you engage your team will make a difference. You can help your team get over failures or fears by invoking positive feelings. Use music or inspirational videos to encourage and uplift your team. Give them motivation through positive feelings. Do you know why the OASIS virtual reality environment created by James Halliday and Ogden Morrow (Simon Pegg) was so popular? The co-creators of OASIS gave people a place to go. OASIS was limited only by the imagination of the user. They could be anyone, anything, and do whatever they desired. Who wouldn’t want to go there? The vision the co-creators of OASIS cast was a place people wanted to go. As a leader, you have a responsibility to cast a vision. A vision that will inspire those you’re leading. Not only that, your vision gives people a place to go. By sharing an enticing vision, you share where your team could go. OASIS attracted people to the virtual world. There were very few people that could resist the pull to go to a world where they could be anything their heart desired. Everyone began to plug into OASIS. So everyone else followed and plugged into OASIS themselves. Why? Because that’s where the people where. Leaders have a choice. They can grow their team on an island. One where nobody else wants to be. Or they can grow their team where everyone else is. I say choose to go where everyone else is. Your team will be able to rub shoulders with experts from various fields. They’ll hear new ideas and see new creations being built. Help get your team around other people. Go where the people are! Ogden Morrow and James Halliday were introducing OASIS to an assembled crowd. Morrow continued to wax eloquently about their new virtual world. Halliday wanted to get to the meat of it. Halliday told Morrow to stop talking about their invention. Instead, Halliday wanted people to see what they’d created. Many leaders and creators struggle to show their creations off to the world. There’s a fear of rejection. They don’t want to be told their baby is ugly (I’ve been facing this fear while writing my first physical book). Fear is a powerful emotion. It’ll tell you that you’re not good enough or no one will like what you’re doing. You’ve got to push through the fear. Not only do you have to push through the fear, you have to stop talking about what you’re doing or going to do. You have to show what you’re doing. Let people know what’s going on. Where you’re leading. What you want to see accomplished. When Halliday unveiled Anorak’s Quest, he told users of OASIS what they could win. He didn’t tell them how to get there. He left that up to the players. Leaders need to be able to give direction. To let their team know where they need to go. What leaders don’t need to do is to tell them how to get there. Great leaders know they can give direction and then let their team find a way to the solution. Many times, the path the self-directed team discovers is more efficient than the path the leader would’ve taken themselves. In the virtual world of OASIS, each user has an avatar and gamer handle. Wade’s handle was Parzival. One of Wade’s friends went by the handle of Aech with the real-world name of Helena (Lena Waithe). As Aech and Wade were taking on one of the challenges presented, Aech crashed and was out of the running. This left Wade. Aech began to cheer Aech on to the finish. He (yes, Aech was a male avatar) wanted to see his friend succeed even if he couldn’t. There will be times when you can’t finish the good race. You’ll have to tap out or wait on the sidelines. This waiting period isn’t fun. You want to be in on the action with all of the other leaders. But you’re not. So you have a choice. To pout or to cheer on the other leaders you know. Cheer on those other leaders. Be excited about the success they’re having. Art3mis (Olivia Cooke) was the avatar for a young girl named Samantha. She was fighting for a better world. When Art3mis met Parzival, she asked him a serious question: What would you do if you won? With all the money, all the prestige, what would you do? I think Art3mis’ question is one all leaders should ask themselves. When you win, what are you going to do? By reaching the pinnacle of success, what is next? What are you going to do with the honor, the money, the notoriety? You need to think about these things. You need to have a plan on where you’re going to go next or how you’re going to handle success. If you don’t have a clear plan laid out, you could be a leader who goes astray. Make sure you know what success means to you and how you’re going to handle it. Users of OASIS were struggling to find the first Easter Egg in the game. They tried to jump over King Kong. And King Kong would smash their vehicles to bits. Wade thought about something Halliday had said. Halliday’s words gave Wade the idea to throw his DeLorean (yes, like the car in Back To The Future) in reverse and head towards the brick wall. As Wade’s car approached the wall, the road lowered and brought him beneath the main playing field. He was able to drive underneath everything and find the first of the three keys. I know a lot of leaders don’t like to look backward. What’s in the past is in the past. Yet sometimes going backward can help you move forward. You might have to go backward and re-enter formal education. Or you might have to go back and apologize to someone you’ve wronged. You might even have to go back to a bitter memory and forgive the wrongs done to you. Be willing to go back when the need arises. Okay… Don’t spend all your money. By being the first to find the key, Wade’s avatar Parzival was rewarded with 100,000 coins in OASIS. Wade went on a spending spree buying things in a large shopping center. Aech cautioning Parzival to be wise with his money. He shouldn’t spend all of it at once. Are you heeding Aech’s advice? You have a responsibility to be a wise steward of your money and the organization you lead’s money. Watch where you’re spending your money. Put some money away from a rainy day. A man by the name of Nolan Sorrento (Ben Mendelsohn) founded the company IOI (Innovative Online Industries). They were hellbent on discovering the 3 keys first. Sorrento had been Halliday’s coffee boy. He would fetch Halliday his drinks and do menial tasks. All the while, Sorrento was looking for ways to make money. Add in-game ads to OASIS. Charge users a monthly fee. Create tiered membership levels. Sorrento was focused on the money. He wasn’t focused on the users. After his date with Kira, Halliday built a dance club. Because of his lack of effort in pursuing Kira further, Wade and Samantha surmised Halliday began to hate the nightclub he’d created. The memories. The failure. Everything would flood back over him when he thought about it. Leaders can wind up hating their own creation as well. The organization they build from the ground up, the team they’ve built, or even the success they’ve experienced. All of this can still make a leader look back with hate. The leader may despise the time and effort they had to put into building everything. They may look back and mourn the relationships they’ve lost in vain. Or they could think of something better to build. It’s easy to hate your own creation. Be careful of what you’re building. To find the Easter Eggs Halliday had hidden in OASIS, you had to be brave. Nolan believed no one had more balls, more bravery, more dedication than him to find all three keys. Well, Nolan wasn’t the first person to find all three keys. He lost out regardless of how ballsy he was. There are leaders out there who believe all they have to do is continue pushing forward. As long as they’re taking action, risky action at that, their success is guaranteed. Being ballsy and taking risks won’t always lead to a positive outcome. You have to plan and prepare and choose your strategy wisely. Wade was picked up in the real world by Art3mis and her crew. Once he awoke, Art3mis told him what was going on. Then welcomed him to the rebellion. As you bring new people into your organization, welcome them in. Let them know they’re welcome. They’re a part of something exciting and great. Creating a sense of welcome will go a long way in helping the new team members adjust to their new positions. Be welcoming and open. One of Halliday’s greatest regrets was the fact his creation of OASIS took people away from the real world. People were no longer spending life with one another in person. Rather, they were all in a virtual world living out a fake reality. Halliday knew this was a great tragedy. People were becoming “connected” while becoming more “disconnected” with people right in front of them. So, with his contest, Halliday desired for the winner to be connected with the world. While he couldn’t control this, he did desire they are connected with other people. Great leaders are connected with the world. Being connected online is great. It allows you to reach more people than you ever could in person. However, you can’t rely on virtual connections. Making in-person, face-to-face connections are powerful. Hearing, seeing, feeling other people makes strong connections that cannot be replaced by a virtual connection. Find and make connections with people in your local area. You won’t regret it. Yeah, yeah, yeah… I’m 11. So what? Sho (Philip Zhao) was a cocky little kid but he also had a point. When people would ask him how old he was, he would reply with his age but also ask why his age matters. Even if you’re young, you can lead. However, you have a responsibility. Be an example in your speech, conduct, love, faith, purity. These things will set you apart as a young leader and make you a desirable part of a team. Wade’s aunt was murdered by Nolan’s people at IOI. They’d sent drones to blow up his aunt’s house, believing Wade was inside. When Wade confronted Nolan about this, Nolan nonchalantly told Wade it was business. A corporate decision. There was nothing personal about the choice to murder his family. Yet that’s not the case. Every business decision includes a personal decision. From laying off a faithful employee to moving your facilities. Each decision you make impacts more than business. Your choices impact personal interests of your team and customers. You can’t separate the personal from business. When Nolan was having trouble finding Samantha, he was making excuses and trying to figure out what was going on. F’Nale Zandor (Hannah John-Kamen) became blunt with Nolan. She told him he wasn’t being a man. And he needed to be at this point. We all need wake-up calls like F’Nale Zandor gave to Nolan. We can think we’re doing just fine. That we’re doing what needs to be done. But we’re not. Instead, we’re acting like children. We’re making excuses or choosing to avoid the difficult circumstances we’ve been put into. It’s time to man up leaders. Take a stand and do what needs to be done. Wade put Nolan on blast. He began to broadcast to all OASIS players telling them exactly what Nolan had been up to. He laid out all the nitty, gritty facts. His message was a call to arms. Asking OASIS players to band together and save the OASIS. He gave a challenge to the players: Are you willing to fight? The players rallied around Wade’s call. They joined him in the fight against OASIS and Nolan. Are you willing to fight? Great leaders are willing to fight for truth and justice. They’re willing to die on a hill when things truly matter. Find the areas of your life you’re willing to fight for. Then fight. I-Rok (T.J. Miller) was one of the bad guys Nolan had enlisted to help him carry out his dastardly plan. In the end, I-Rok saw the light. He said a man isn’t a failure if he has friends. A common, reoccurring theme throughout Ready Player One. Far too long, leadership has been considered a lonely position to be in. And it has been because leaders have been scared to connect with others and make friends. Stop being scared of reaching out and being vulnerable with others. If you can push past this fear and make friends, there’s no way you can be considered a failure. Wade finally obtained all three keys. This allowed him to sign paperwork making the OASIS framework his. As he begins to sign the paperwork, he stops and wonders… Is this wrong? Am I doing what’s right? He thinks through what he’s doing. And he decides to not sign the paperwork. He believed he shouldn’t be in total control of the OASIS. Leaders need to consider whether or not they’re doing the right thing. It can be easy to do the wrong thing for the right reason. Yet even for the right reason, what you do is wrong when it’s wrong. Make sure you’re thinking through the actions you’re taking. Make sure you’re doing the right thing. Halliday brought Wade into a room with a button. The button gave Wade the power to reset the OASIS. All he had to do was push the button. He held all the power. He could choose to save the OASIS or wipe it clean. The power he wielded was great. But he chose not to reset OASIS. With power, you have choices to make. You can wield your power for good or for bad. You have the choice. Even having the power gives you the option of not using the power at all. Be aware of this as you lead. Wade had the choice to fully own the OASIS. He chose to pass on full ownership. Instead, he chose to bring his friends on board. He let Samantha, Daito (Win Morisaki), Helen, and Sho join him in this new venture. They would be able to keep one another in check. These other players became his clan. His wise counsel. You need a clan. A council of people to help guide your decisions. While you may be wise, you can’t anticipate everything. You need to have others looking at the decisions you’re making. This will help you keep yourself in check and help you to make better decisions. Question: Have you seen Ready Player One? If you have, did you take away any leadership lessons from Ready Player One? 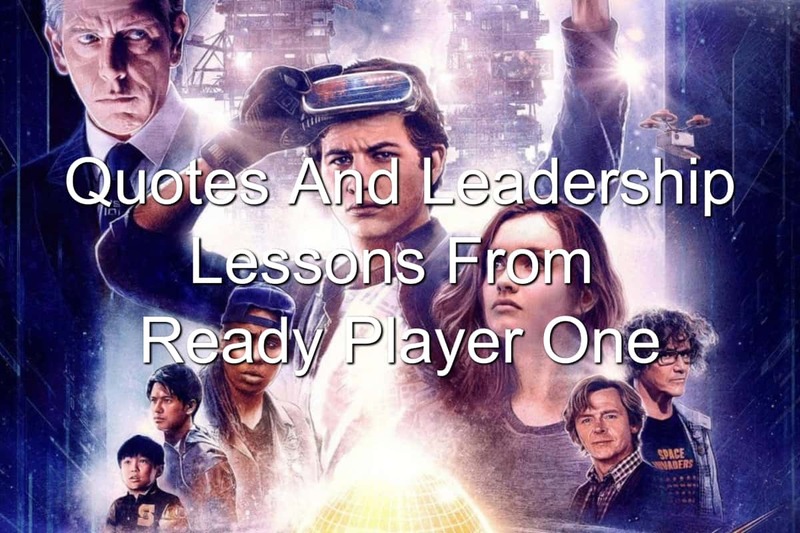 If you haven’t seen Ready Player One, what leadership lessons from Ready Player One that I shared resonated with you? Let me know in the comment section below.